The Chinese New Year, which falls on February 5, is the grandest festival in China. Beijing: Playing down concerns over the economic slowdown in China amid the intense trade war with the US, President Xi Jinping on Sunday said the world’s second-largest economy has made “steady” progress as his government took new steps for reforms and opening-up of the economy to avert major risks. Greeting Chinese people on the eve of the Lunar New Year, also known as Spring Festival, Xi said at an official reception here that in the past year China has made efforts and “achieved a lot”. The Chinese New Year, which falls on February 5, is the grandest festival in China. Starting from Monday China will be officially shut down for a week to celebrate the New Year, bidding farewell to the Year of Dog and to welcome the Year of Pig. In his speech, Xi noted that Chinese people had a hard but fulfilling year. “The Chinese economy remained steady while making progress, with new steps taken in reform and opening-up,” he said. China’s economy sank to a 28-year low in 2018 slowing down to 6.6 per cent year-on-year, lower than the 6.8-per cent growth registered in 2017. The slowdown continued amid the trade war with the US over President Donald Trump’s demand to reduce USD 375 billion trade deficit and protection of intellectual property rights (IPR) and more access to American goods to Chinese markets. The two countries are currently holding talks to reach a trade deal before March 1 deadline. Xi said his government has actively pushed forward campaigns to defuse major risks, carry out targeted poverty alleviation and control pollution, with poverty alleviation projects achieving remarkable outcomes. 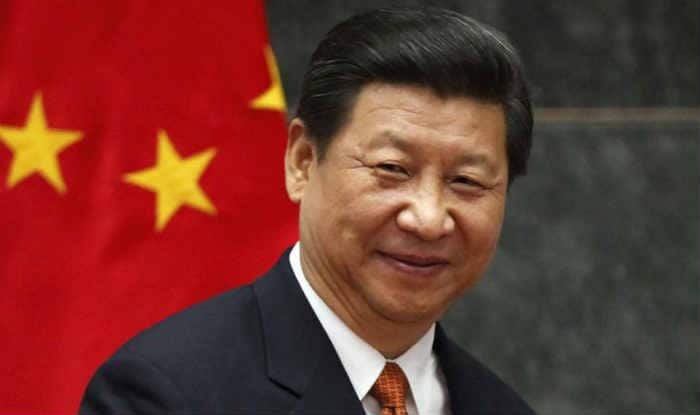 Defence and military reforms extended to a deeper level, major country diplomacy with Chinese characteristics opened a new chapter and Communist Party governance further improved, he said. “Chinese society has been stable, and the people have enjoyed a stronger sense of fulfilment, happiness and security,” he said. Xi spoke of the need in the new year to adhere to the new development philosophy, advance high-quality development, continue the earnest fight in the “three critical battles” against risks, poverty and pollution and take coordinated steps to ensure steady growth, advance reform, make structural adjustments, improve living standards and guard against risks, state-run Xinhua news agency reported. Having become an ageing society, China, Xi said, should make great efforts to ensure the elderly are well respected, taken care of and supported, and promote programmes for the elderly so that they can all enjoy a happy life. The new year holidays trigger the biggest human migration within and outside the country every year with millions of Chinese heading either to their villages or to the holiday destinations. In the Chinese lunar calendar, years are grouped into a 12-year cycle, with each year assigned to animal symbols including rat, ox, tiger, rabbit, dragon, snake, horse, sheep, monkey, rooster, dog and pig.